Robert Jordan, Sr. also served in the GA State Senate from 1953-54 and 1959-60. He was born in Talbot County, Georgia and attended the University of Georgia. He served in the US Army 1941-45 and was the author of There Was a Land, a history of Talbot County, Georgia. 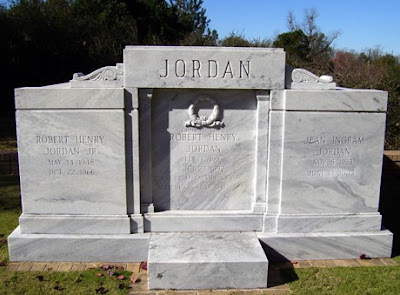 The Georgia General Assembly, in House Resolution 25, stated Robert Henry Jordan served his country with honor, was an outstanding legal scholar, and was an exemplary public servant. The portion of U.S. Highway 80 from downtown Talbotton, Georgia, east to the Taylor County line is designated as the Robert Henry Jordan Memorial Highway.